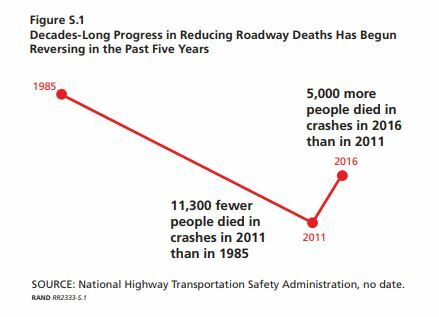 Many studies by well-established experts about what can be done to decrease roadway fatalities already exist. The RTZ Coalition is planning to work with politicians and safety advocates to support policies to make the road safer. Many new technologies are making driving safer. The RTZ Coalition wants to partner with manufacturers, technology providers, emergency medical and trauma systems, public safety/health groups, and the public sector to identify and prioritize which technologies they should support and push for adoption. The RTZ Coalition is pushing for a Safe System Approach. Instead of just assuming that crashes occurred because people misbehaved, the Safe System Approach identifies what can be done to prevent such crashes and make the road safer. The Road to Zero Coalition is a partnership between federal officials, State and local officials, Auto manufacturers and technology developers, Emergency medicine and trauma academics, practitioners, and advocates, Safety researchers and advocates, Business community and fleet owners, Insurance companies and Law enforcement and the judicial system.